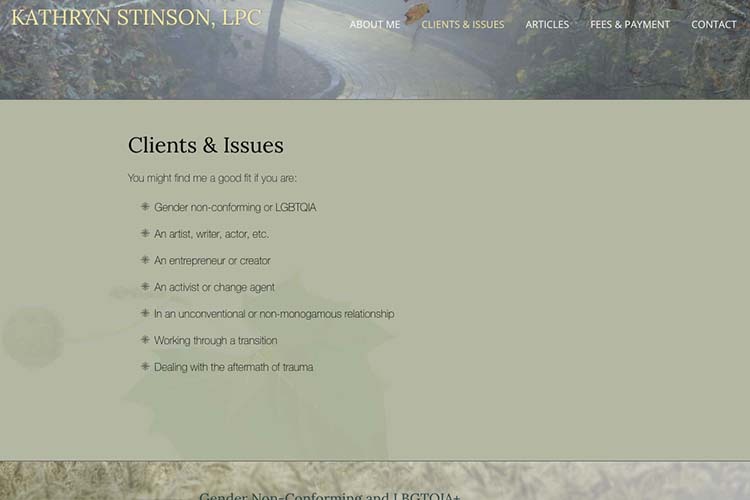 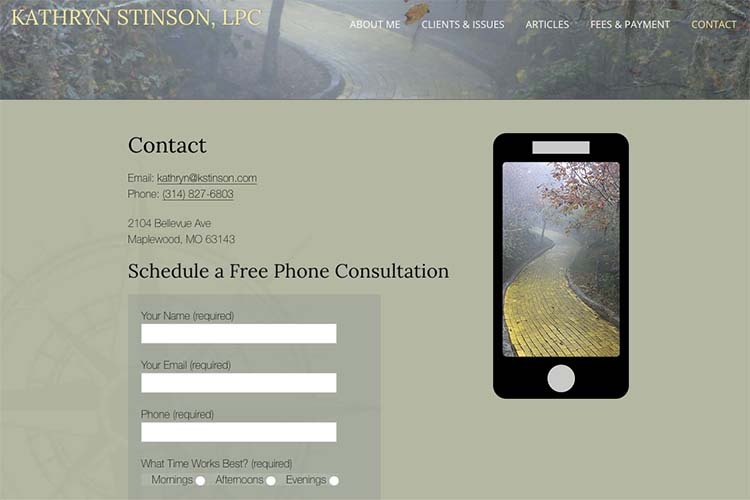 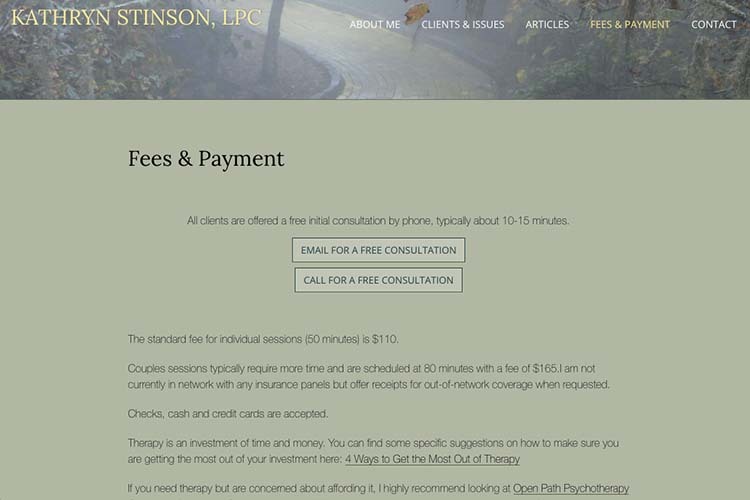 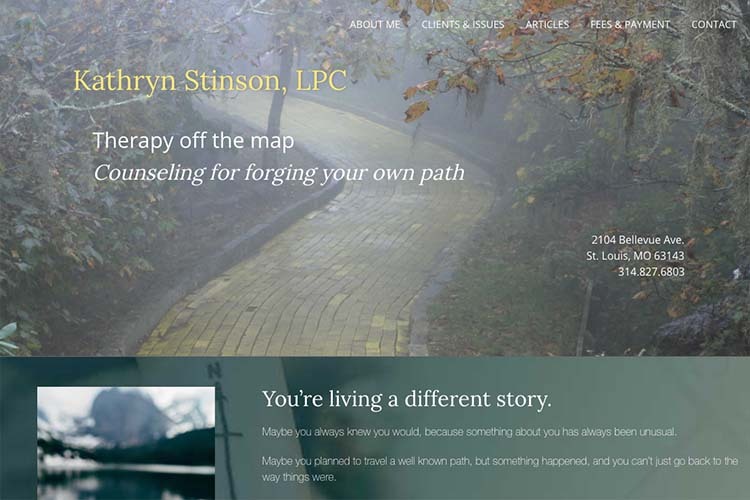 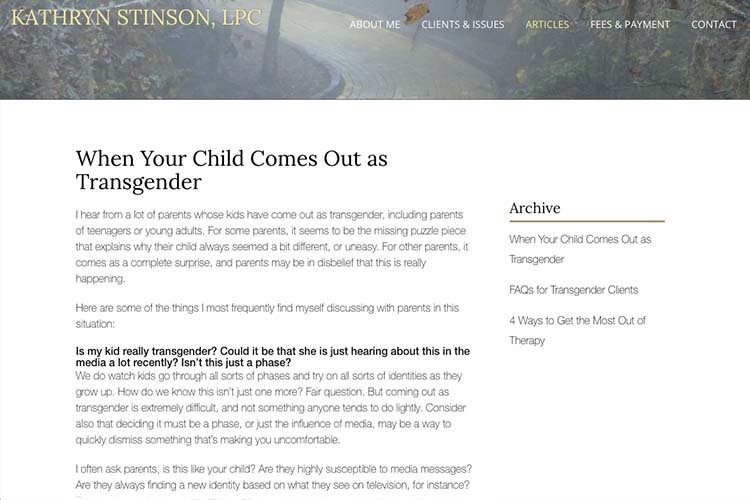 This therapist had an existing site that was not only not responsive but was failing to work well for her as she received many calls from people who need services she doesn’t offer. 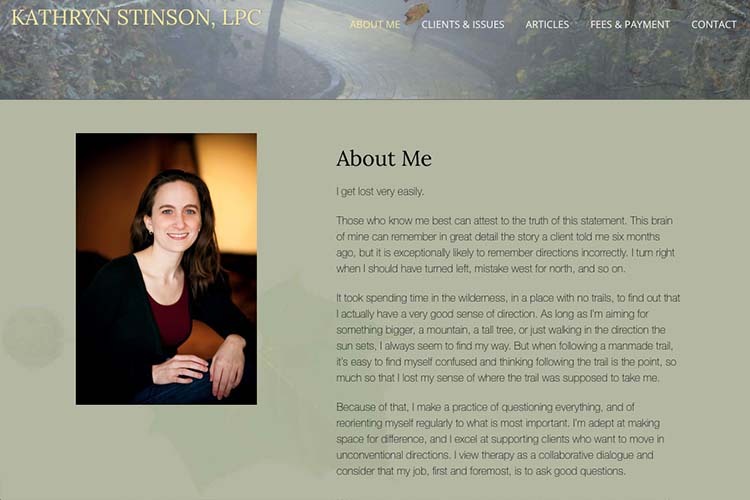 What we did was fine-tune the message in every way so that visitors to the site clearly understand what this therapist offers and nobody’s time gets wasted with misunderstandings. 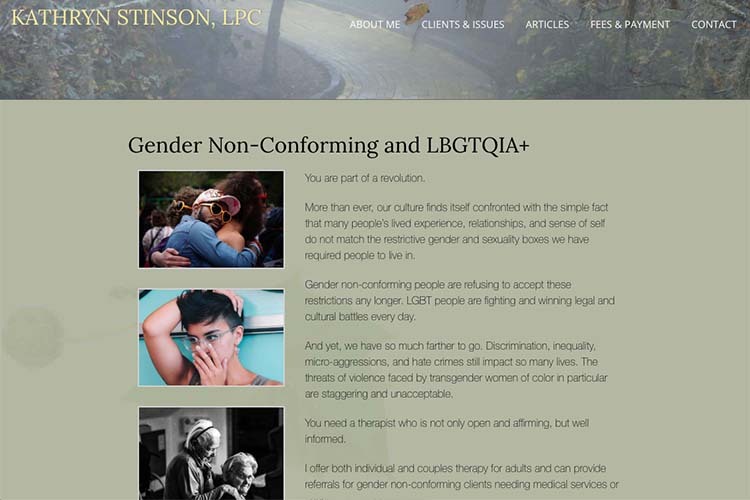 Then we created a new design, incorporating the images from the old site that the client really liked but giving the site better structure and a more beautiful look.